I like nice... nice is...well... nice. To Quote Major Frank Burns in M*A*S*H, "It's nice to be nice to the nice." But nice is really boring. Jesus wasn't boring. The crowds didn't follow him all over Judea and Galilee hanging on every word he spoke because we was just nice. Nice hardly attracts crowds. 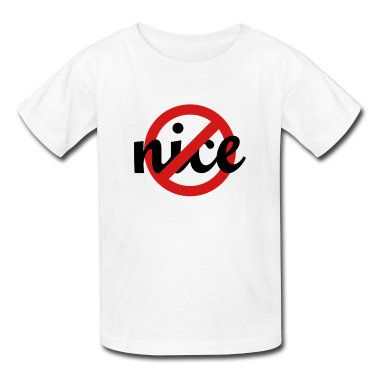 Nice doesn't radically transform lives. Nice doesn't get one strung up on a cross. As my children would say when they were very young, "Not nice." On another occasion, Jesus does something more than nice. He feeds five thousand people with small morsels of bread and fish. And everyone would have left for home happy if Jesus hadn't ruined the mood by accusing the crowd of following him only so they could mooch off of his ministry. "Very truly, I tell you, you are looking for me, not because you saw signs, but because you ate your fill of the loaves. Do not work for the food that perishes, but for the food that endures for eternal life, which the Son of Man will give you. Very truly, I tell you, unless you eat the flesh of the Son of Man and drink his blood, you have no life in you. Those who eat my flesh and drink my blood have eternal life, and I will raise them up on the last day; for my flesh is true food and my blood is true drink" (John 6:26-27, 53-55). You mean there's a catch here? Jesus expects something from the people-- actually it sounds like Jesus expects everything from the people. He only gives them food and medical care, and in return he wants their lives. John tells us that after these words many no longer followed him (John 6:66). And for good reason-- Jesus was not being nice. But Jesus is not finished with not being nice. He enters the temple precinct, the most important place of worship, the center of the world for the Jewish people, and he disrupts its important business (Mark 11:15-19). He turns over tables of those exchanging the necessary money and drives out the animals reserved for sacrifice, and he accuses those providing the necessary services for the worship of God's people of turning God's place of worship into a hideout for the "James Gang." Jesus is put out by the conveniencing of God's people at the expense of those seeking God. 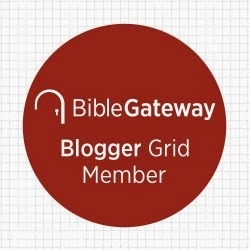 Apparently Jesus does not believe that membership has its privileges. Is it any wonder why they arrested Jesus and beat him and hung him high on a cross? Nice people don't get crucified. And nice is not very memorable. Why? Well, nice is really boring. *William H. Willimon, Bishop: Questioning Authority from an Authority in Question. (Nashville: Abingdon, 2012), p. 47.